I absolutely love raspberries, strawberries, blueberries, blackberries, etc. and eat them like candy (…although, I will say, New Mexico is sadly lacking in the berry quality department). 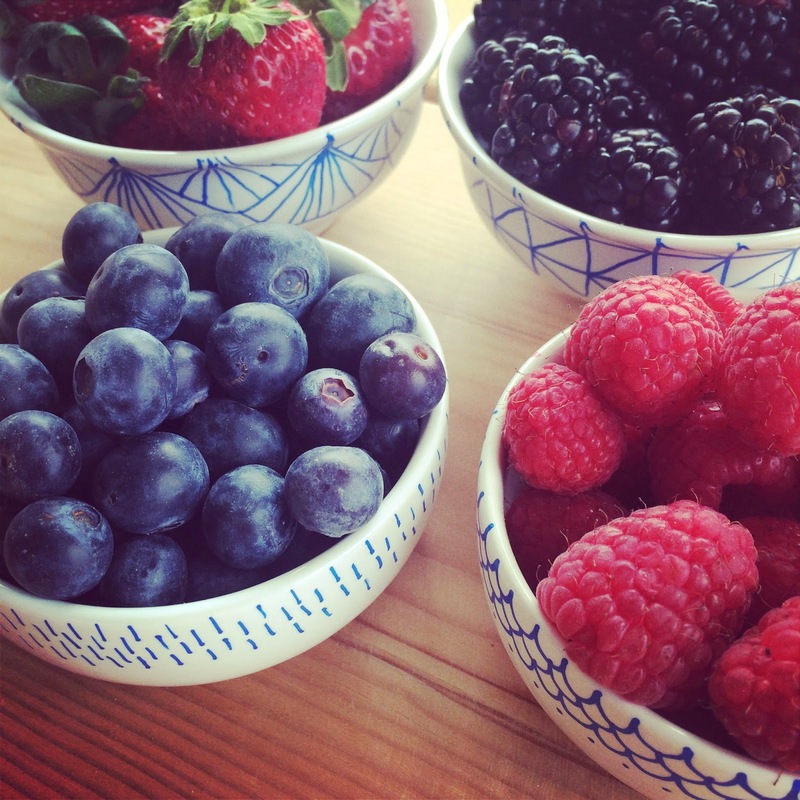 In the summer, I love having a little dish of berries out for a grab-and-go treat, and I found some perfect little white bowls for cheap ($1.99 each) at Target that I decided to spice up a bit. 1. 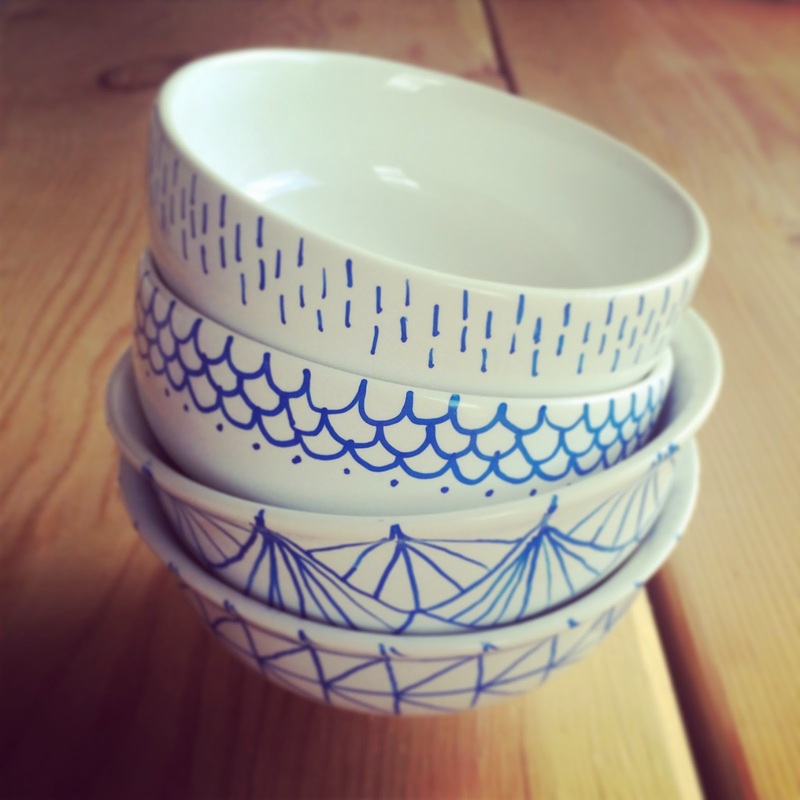 Wash and dry your bowls before decorating. 2. 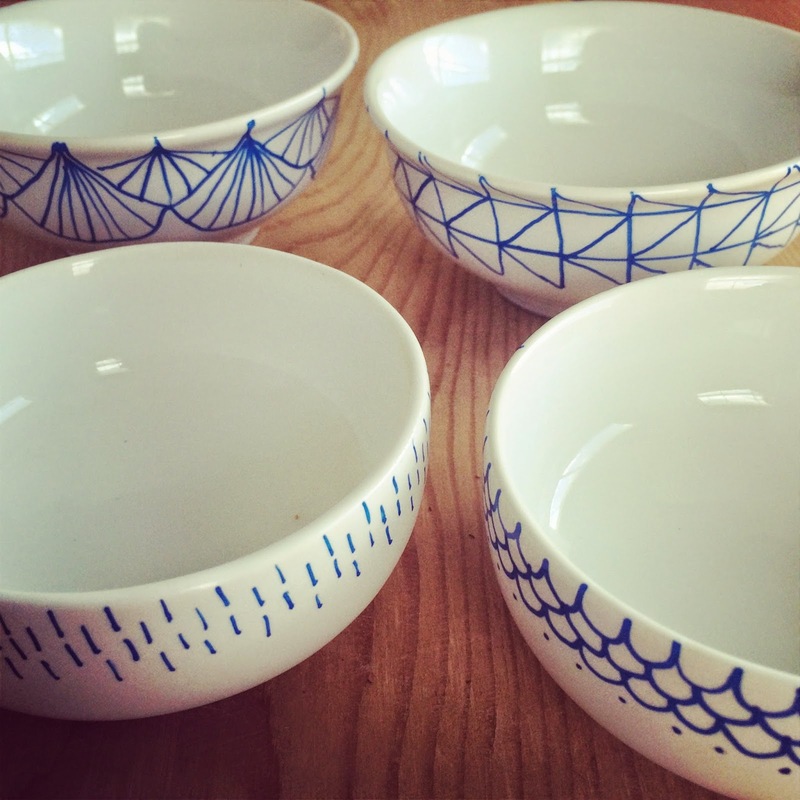 Using an oil-based Sharpie, decorate your bowl as you please (normal Sharpies will not stay on through the dish washer). 3. After you finish decorating your bowls, bake in the oven for 30 minutes at 350 degrees. This DIY is super easy, and really quite fun! And you can make anything, not just a bowl. I made a mug using the same method awhile back, and my hubby (claims) that he still uses it at work every day! As usual perfect DIY!! I love all the inspiration pics on Pinterest - there are some with plates and gold sharpie that I love!! What an awesome DIY!! I am so going to make these! Did you find the sharpie at target too? Cute! I keep meaning to try this easy project, I'll have to get on it already! Yum! I love berries too! Great DIY... These look great! So cute and pretty much fool proof!! Love em! So cute, and simple. Love it girl. This is neat! love it! 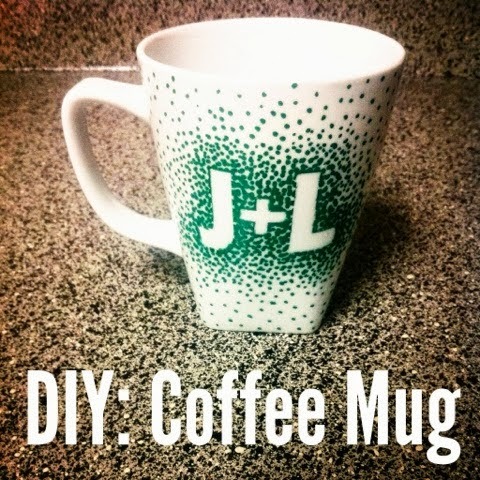 Love that DIY coffee mug!! I am with you too on berries, I eat them like candy! Super cute! These look totally anthropolgie worthy to me! Love it. You are never short of ideas! Makin' us all look bad one project at a time! JK! Love your posts! OMG what a fun idea! These turned out so cute!! I don't know if mine would turn out as amazing but definitely a great idea! These don't even look DIY they look that good! Those are ADORABLE!!! I've always wanted to do this :) so cute. I can't believe those bowls are only $2 each! Love them! You did an awesome job--I like the different patterns on each bowl! LOL I love the "claims" part! Love some of those patterns you came up with!